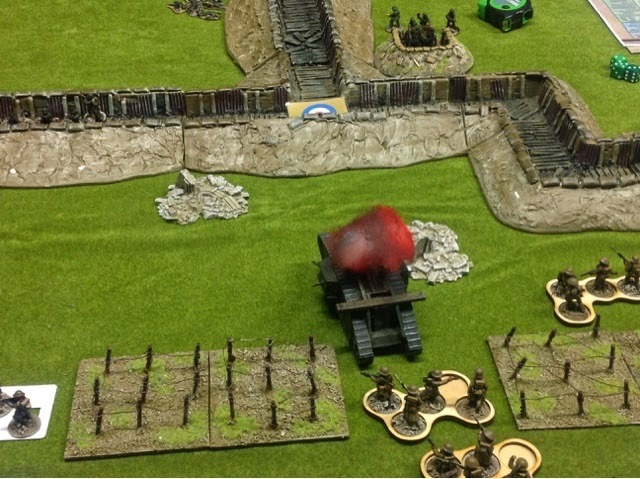 Mark Piper and I meet up tonight for a brief runthrough of the new Great War supplement for Flames of War. 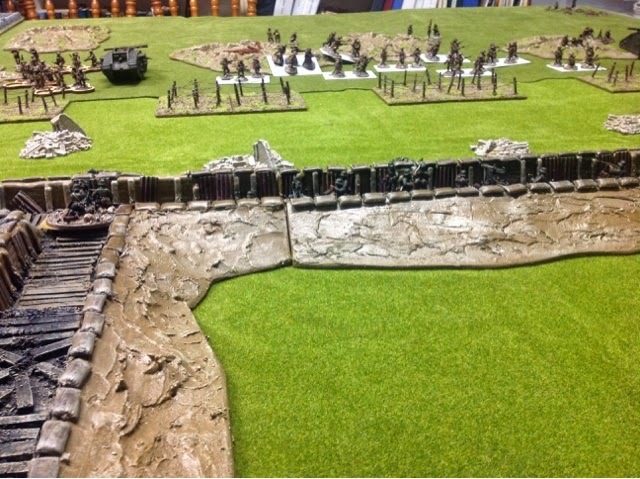 Mark has a very large and nice collection of 28mm miniatures for the late war period and we used those instead of 15mm figures. 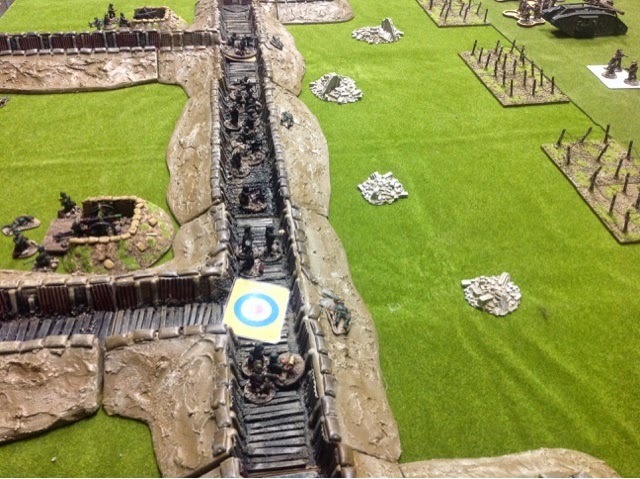 We modified the ranges and movement by an additional 50% and placed 3-4 figures on larger temporary bases to signify units. The game played quickly and was fun and most importantly looked and felt right. 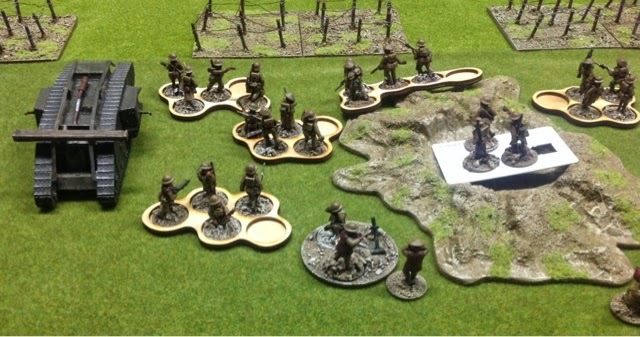 Mark is going to buy a load of the irregular bases from Warbases to move the figures around and next game we will use his gaming boards that are perfect for the Western Front. 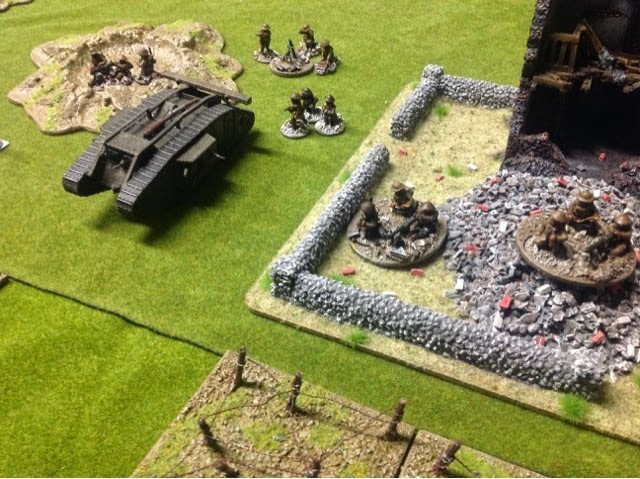 We both like Flames of War rules but usually play with 20mm figures, so using 28mm models was a new experience. 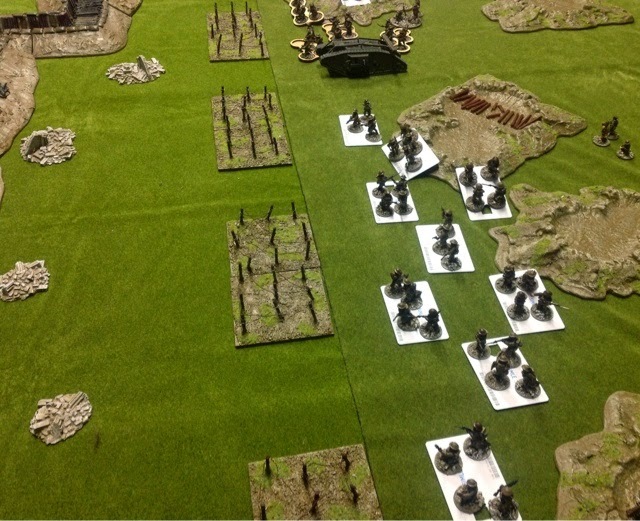 I know lots of people dislike FOW due to the wall to wall armour but the game is fun to play with a balanced scenario and a step away from the competition mentality. British troops on irregular bases. 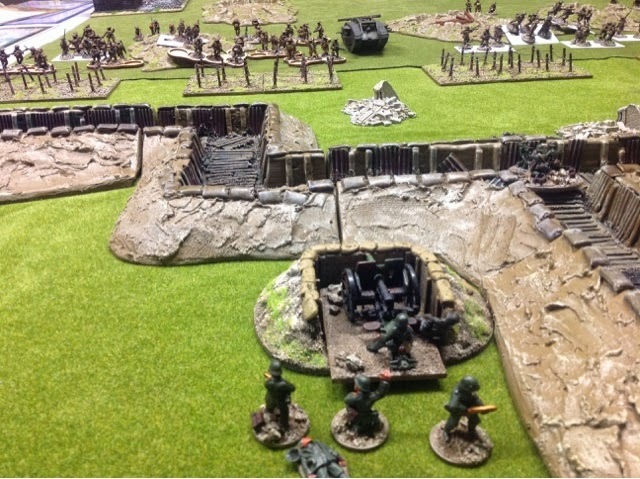 Mark is thinking of buying the bases with 4 slots from Warbases. My female tank recieves 3 hits and I fail all 3 armour rolls, BOOM.